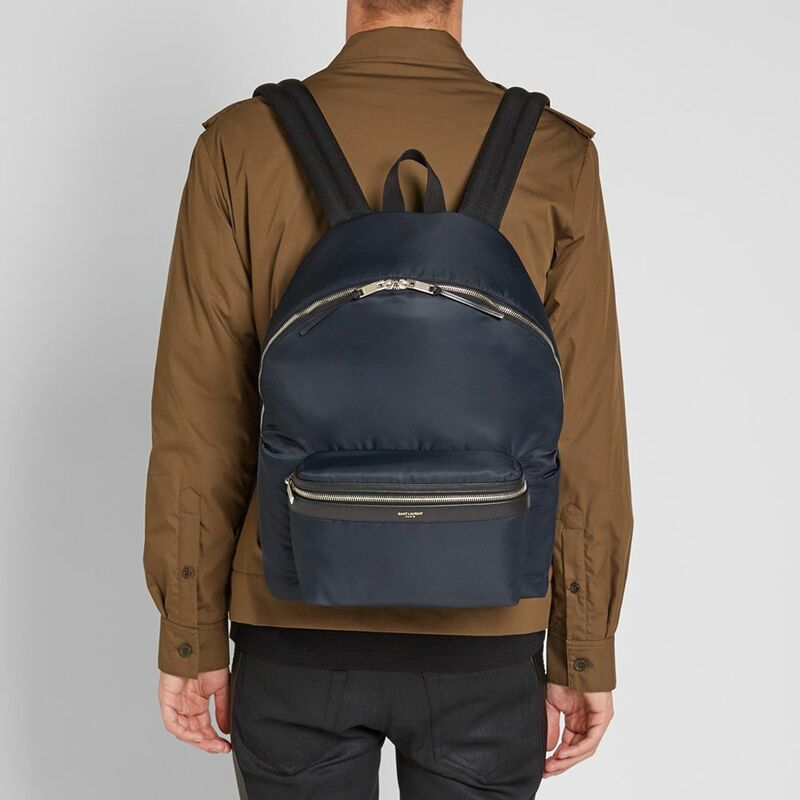 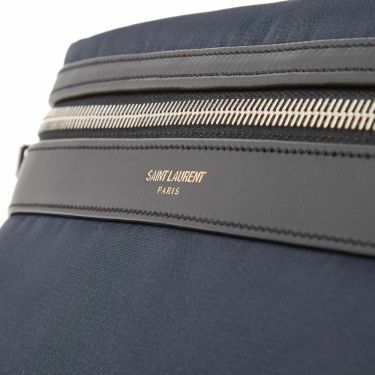 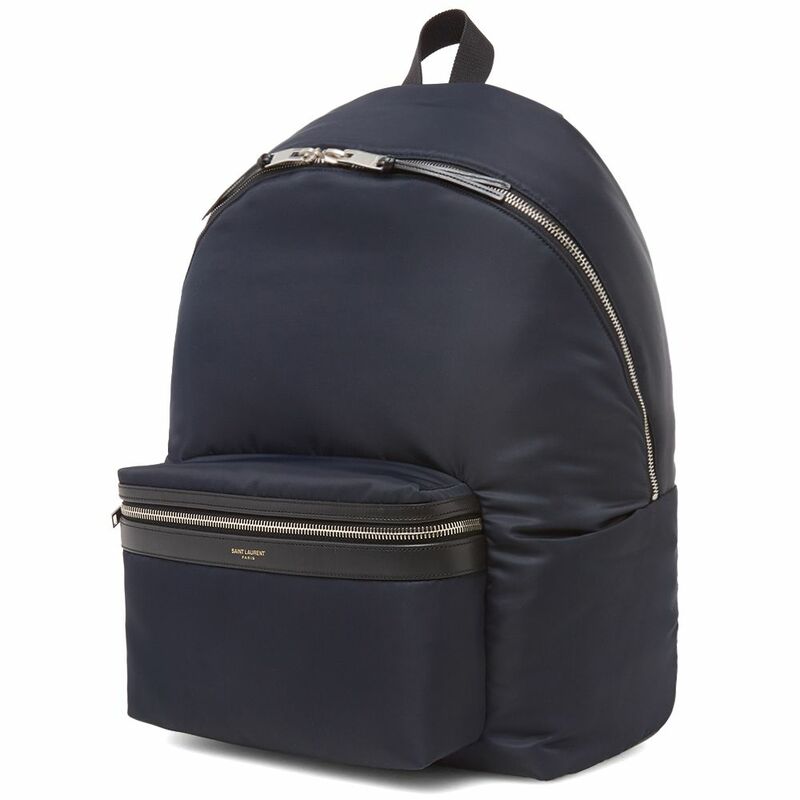 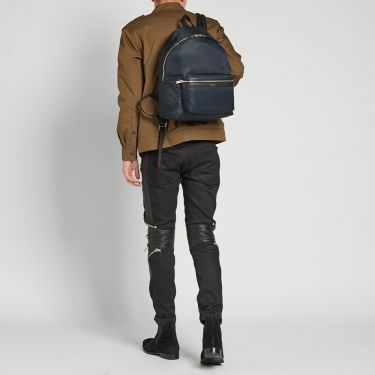 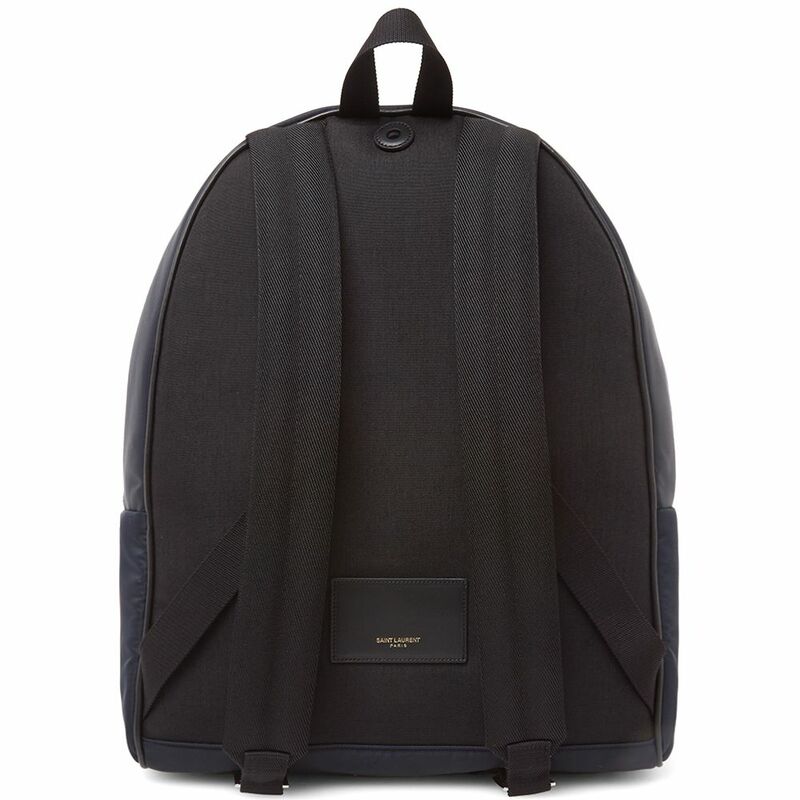 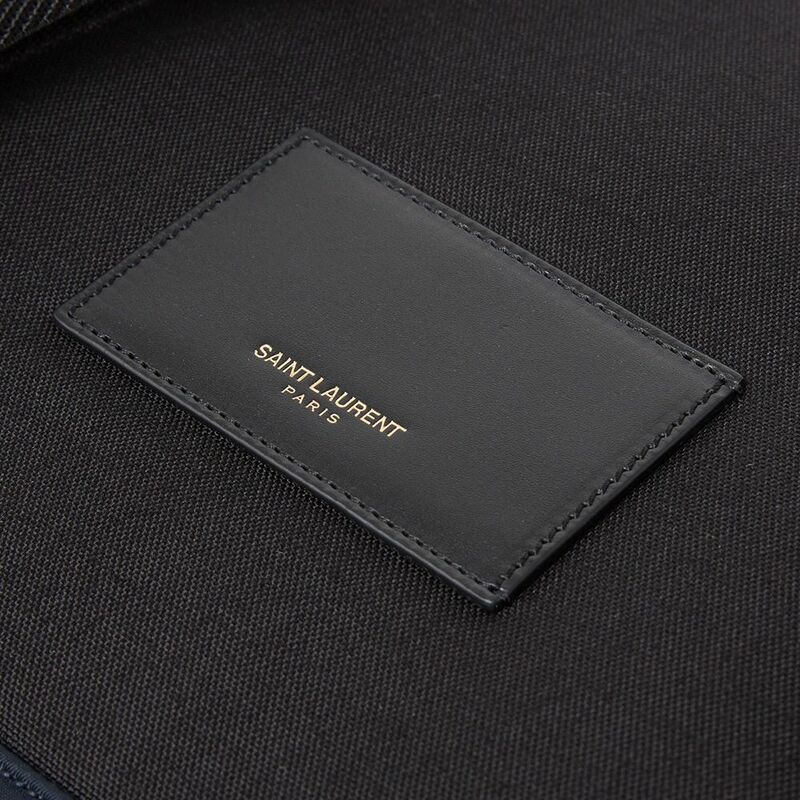 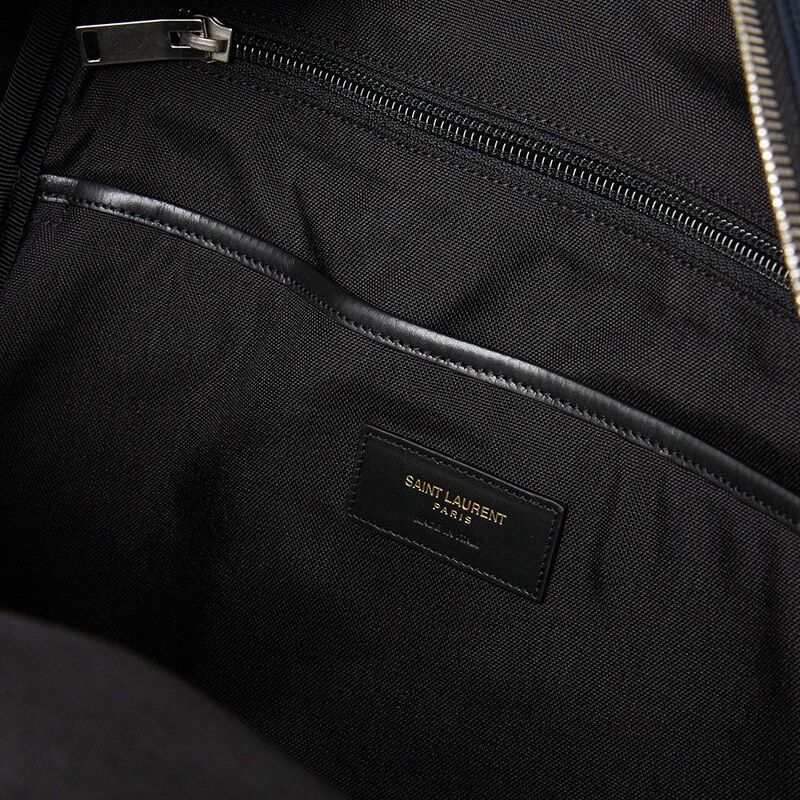 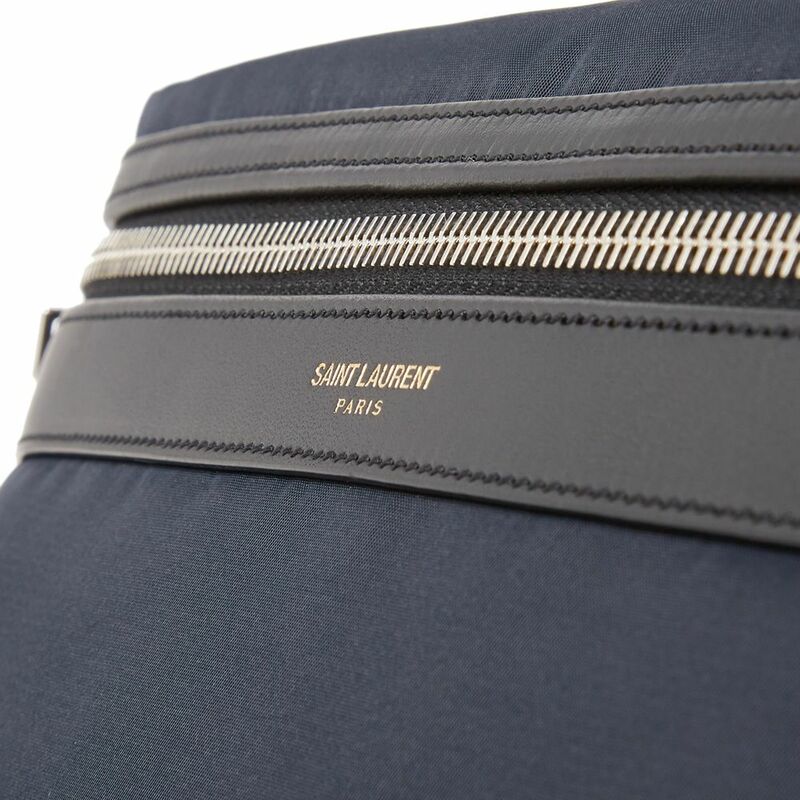 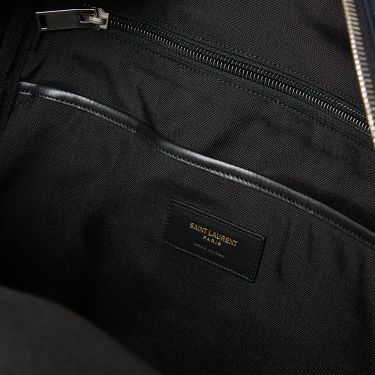 Carry your essentials in luxurious style with Saint Laurent’s nylon backpack. 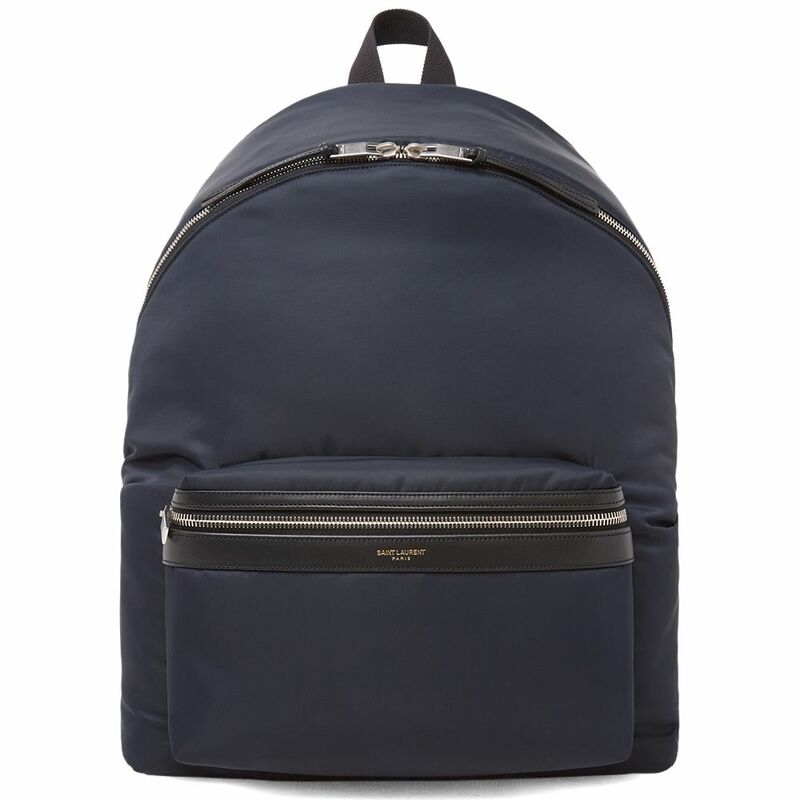 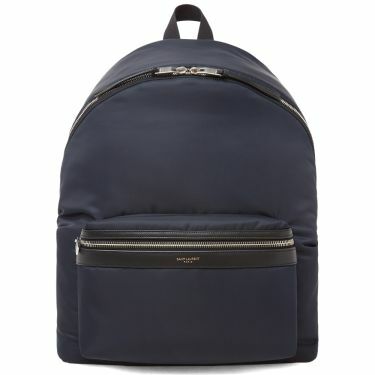 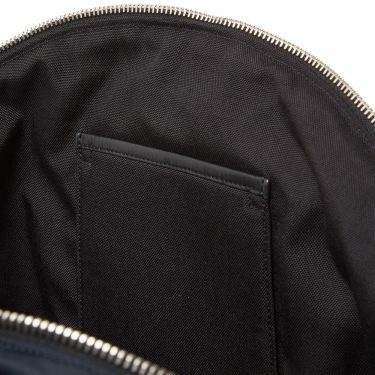 Trimmed with calf leather and made with a robust navy canvas, the main compartment offers ample storage space while the addition of smaller pockets allows easy access to the smaller items. 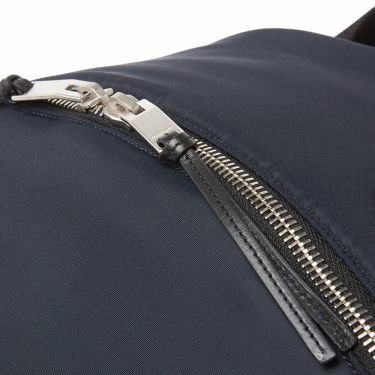 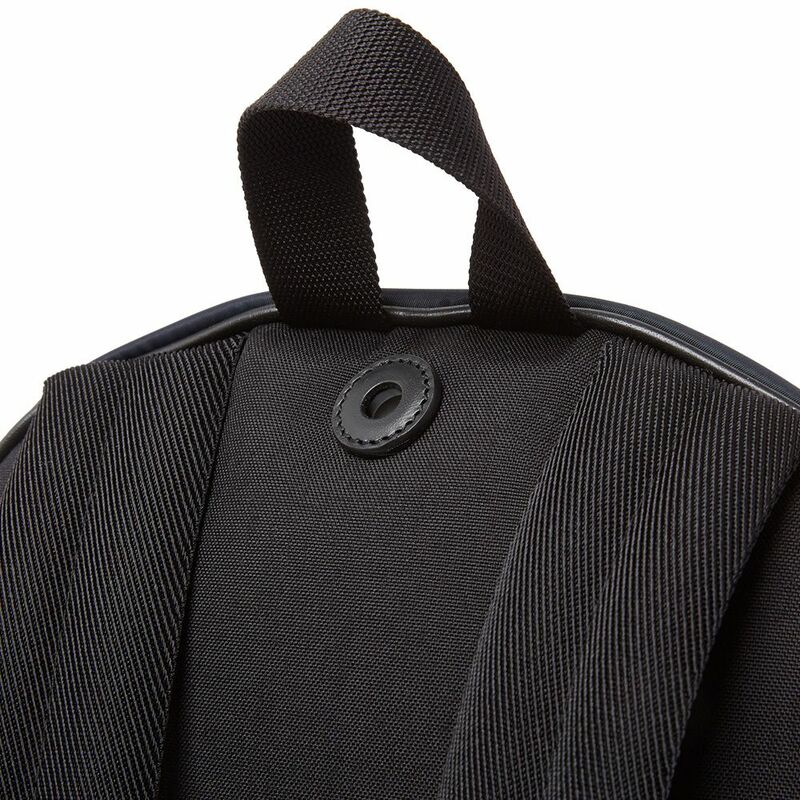 The padded shoulder straps adjust for personalised comfort, ensuring comfort wherever you go. Approximate dimensions: 15.25" x 11" x 6"